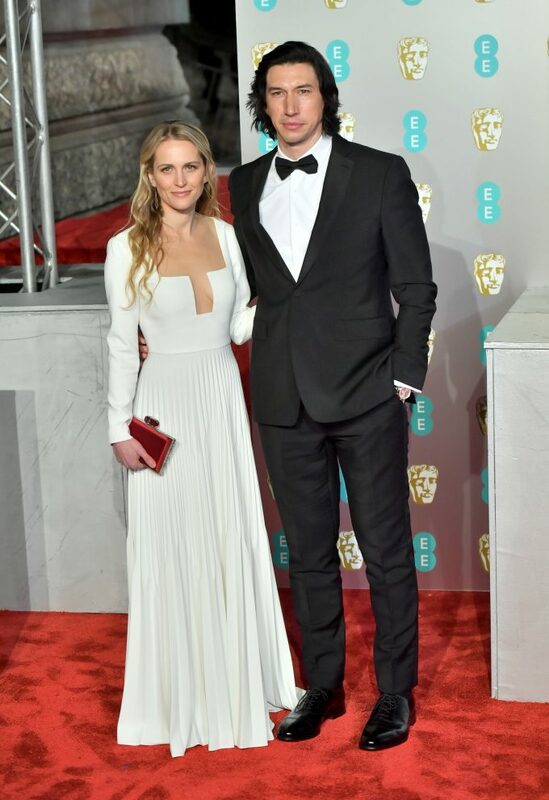 Adam Driver and Irina Shayk both wore Burberry at the 72nd British Academy Film Awards in London tonight. Adam Driver wore a black wool mohair English-fit tuxedo, dress shirt, silk bow tie and polished leather Derby shoes, all custom-made by Burberry. Irina Shayk wore a black grain de poudre wool tuxedo with pavé crystal chain link stud earrings and black velvet sandals with hand-embroidered crystals, all custom-made by Burberry.